Leitmotif: a recurrent theme throughout a musical or literary composition, associated with a particular person, idea, or situation. When storytellers want to really emphasize any of these above aspects, they can use leitmotifs. In movies, tv shows, and video games, music is frequently used for this purpose. For example, when Darth Vader walks into a scene, Imperial March often accompanies him, highlighting his imposing presence and status in the galactic hierarchy. For this reoccurring series, I will review leitmotifs from various forms of entertainment and show what I think makes them great storytelling tools. First up, Vigil’s Theme from Mass Effect. It may not be the theme of the series, but it might as well be as it does play throughout it at key moments in the story. It is a track that is meant to inspire both a sense of exploration and the central concept of the series: hope. The song starts off slowly, building to a peak that pours out of the speakers like a gentle stream, giving life to the game from the moment you see the home screen. When it reaches its crescendo, it’s as if we have reached the top of a mountain and we can now see for miles and miles, understanding that we are now about to explore a vast and exciting realm. Full of new possibilities and peoples to befriend (or take advantage of, if you’re a jerk), Vigil’s Theme let’s the player know that there is so much to experience ahead. It pops up later in the first game when you encounter Vigil, a Prothean A.I. that has the remaining information from creators, a species that went extinct 50,000 years ago, to help stop Sovereign, one of the many Reapers who seek to wipe all sentient, space-faring life. This failing A.I. holds the key to victory and stands as a beacon of hope for those trying to stop the Reapers from restarting the harvesting cycle. The music once again gently flows in to reassure us that we have found what we needed all along and that now we have a chance at not just surviving, but winning. Lastly, it returns at the very end of the Mass Effect 3, when an old man finishes recounting the legend of the Shepard to a child in what is presumably the far future. It is a tale that is meant to be like a calming bedtime story, with a gallant hero who saves the day and repels a mighty evil. An icon to exemplify and aspire to be. A shepherd to all so that they are kept safe and not stray too far into the darkness. The Shepard stood vigilant, and we can now rest easy. Vigil’s Theme then softly trails off, as the story it accompanied comes to a close. For such as simple piece of music, Vigil’s Theme does have immense emotional heft. 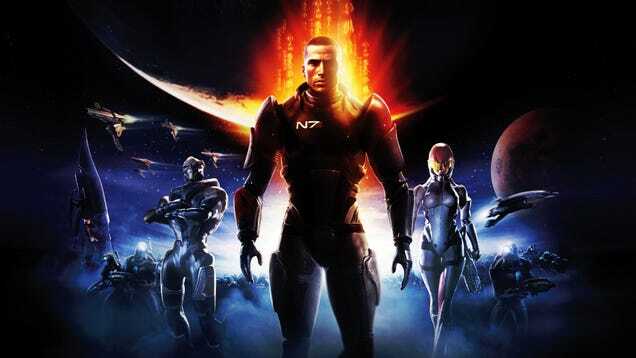 It’s what gives Mass Effect its tone, its character, and most importantly, an emotional core that beckons players to go a little further and fight a little harder. It is the hope that lifts our eyes up and pushes us towards the stars.